Well....maybe not quite rockin' the Bee Block - that would mean I'm actually caught up with my bee blocks but I am proud of myself for being close to caught up! I finished Kerry's house block for the Cocorico Bee. 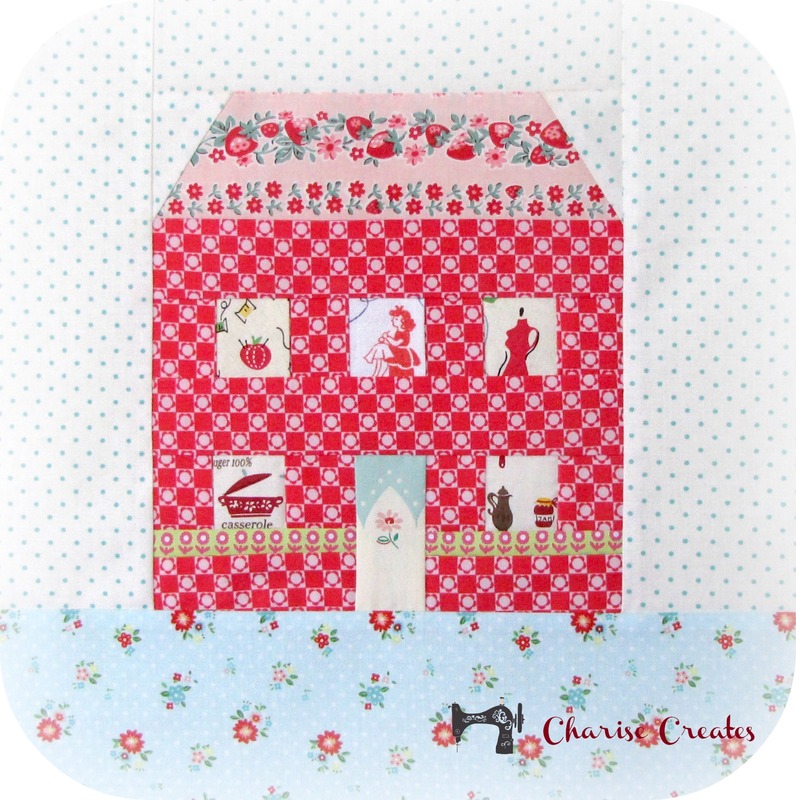 I love making these blocks and filling the windows with little snippets of favourite and treasured fabrics! The pattern is from Kumiko Fujita 318 which is now going for $200. They really need to reprint it!!! Ooh I love that snowflake block, sometimes simple is striking! Love both the blocks! Your fussy cutting is perfect! Oh, both blocks are fantastic! I just adore houses with adorable little snippets in the windows! 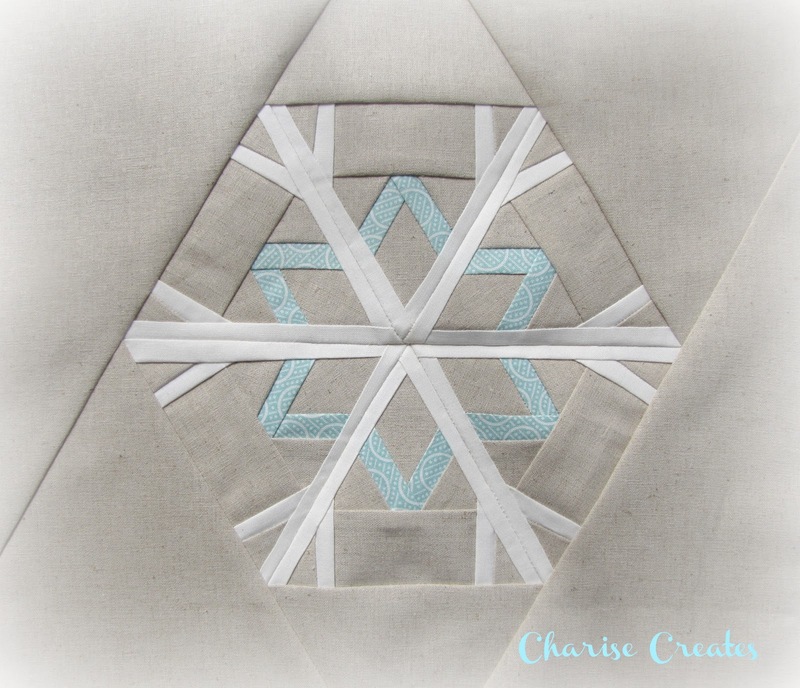 And it's great that you sewed Rumi's lovely snowflake, too! Her patterns are so cute, and her prices are very reasonable. Love both blocks! But the way how looks this snowflake is gorgeous! Thanks for making me so-o-o-o happy! Both blocks are gorgeous. My favorite is the snow flake! Your snowflake is beautiful, and the house is adorable! You are making me rethink how big a scrap needs to be in order to be worth saving. I love those little windows!